We specialize in Organic Search Engine Optimization which is the method of obtaining search engine placement naturally without the use of “pay per click” advertising methods. 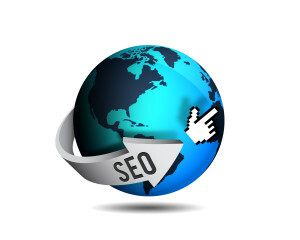 The key to your website’s success is how well it is optimized for Google, Yahoo, Bing and other major search engines. Each engine has its own list of criteria that must be followed in order to properly classify your website. Without adhering to these standards you may not get the placement you want or deserve! We study the standards, taking note of the keyword and phrase techniques that help your site get results. Some of our sites have reached top rankings within a week or two, simply by the search engine optimization techniques we employ in our sites. Organic Search Engine Optimization (or SEO) means the methods to obtain a placement naturally on organic SERPS (organic search engine results pages). There is more to it than simply adding tons of keywords to your pages. It is a balancing act… and without the proper technique you can under or overdo your keyword content raising red flags from the search engines. If you would like more information on how to properly optimize your site, or discuss other methods of search engine boosting, contact us and we would be happy to discuss it with you!